Parking at this location can be kind of a pain, but we were able to find a couple of parking spaces on the street not too far from the brewery. The atmosphere was cool, and it was obviously a brewery since the giant brewing equipment is clearly visible from within the pub area. Beer samples are done per beer, so you don't have to get a flight of 6 or 8 beers where you know you won't like a couple of them. 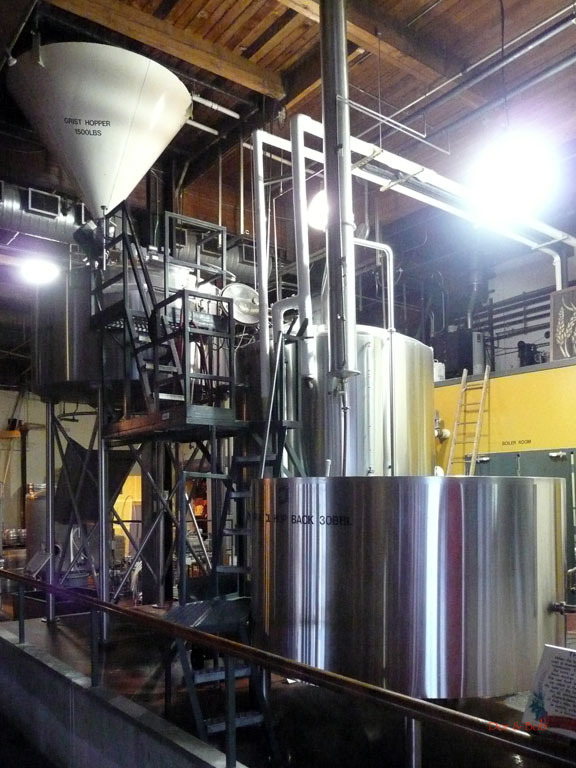 The first thing you notice when you step in the front door is that this is a brewery - the aroma is hops, wort, or both. Then you notice the fermenters (behind glass) on the right and the brewing vessels towards the back (not behind glass). Then you see the pub on the left and the restaurant further back (both separated by windows from the brewery). 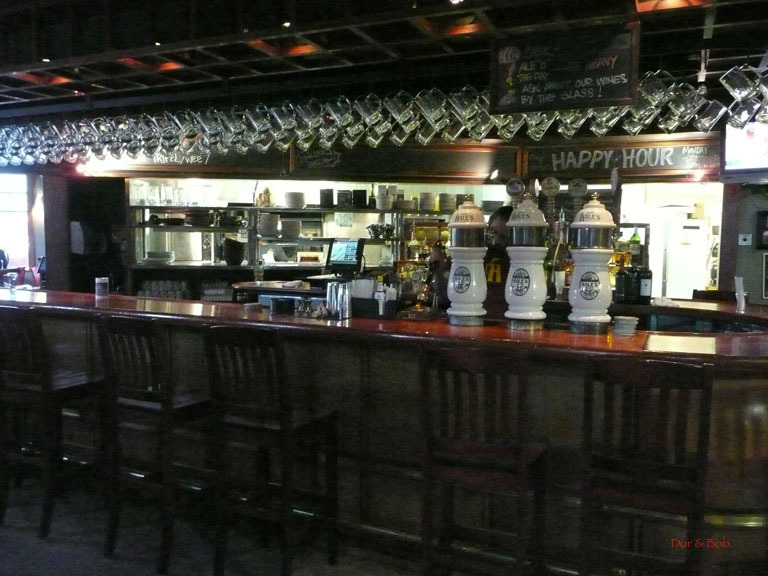 The pub is a comfortable place with a long wooden bar with chairs and booths across from it and a bright section in front with lots of windows and tables as well as a few comfortable leather couches. 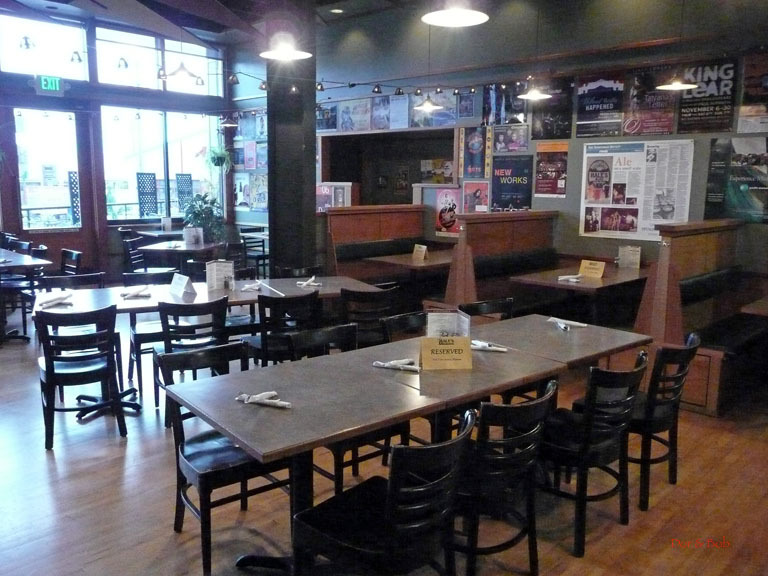 The restaurant area is where kids are welcome and also includes a few outdoor tables. Overall the walls are sage green and the ceiling panels are in a matching darker green. The ceilings and windows are trimmed with a light warm colored wood. Several original oil paintings with Hales themes decorate the walls. The atmosphere can be quit busy and happening at night or weekends (with a waiting list for dining) or more mellow during off times. The food is edible but not particularly innovative. I was there recently with a group of beer lovers. While I tried the Wee Heavy and stuck with it as it was delicious, with good body, a nice balance of malt and spice, and very drinkable, some of my friends were more adventurous. We tried the Happy Hour nachos and found them pretty standard but tasty and good portions. Its a great place for just conversation. No multiscreen TV's or background elevator music. The selection is pretty much their own beers, usually eight or so on tap. In the past I've tried the Porter and found it good. My friends like the IPA, the Pale, and the Amber. Nice place but the parking can be rough. There is very little to be found for parking the side streets are your best bet. An old warehouse converted into a brewery/pub this was a great look inside. Loved that I can go watch and talk to the brewers. Brewing a Red amber ale as we where talking. The brews where fresh and pretty good. They have lots of stuff on nitro and over 12 fresh brews ready to go. The food was pub faire and also good. They allow kids so that is a plus and there is some great atmosphere to soak up while in the Fremont area. This is a must stop in Seattle for brew pubs. Hales has been around along time and will be there for a long time to come. The servers know the product and where helpful in getting some of the beer info that I was looking for. I will be back. Great beer (though I wish there was more on tap) and a friendly and helpful staff. My main complaint (and this is a personal thing) is I get the beer snob vibe from the place (and not in the good way). Still, its easy enough to get past the yuppie feel of the place and still enjoy the Dublin Stout or the Cream Ale. 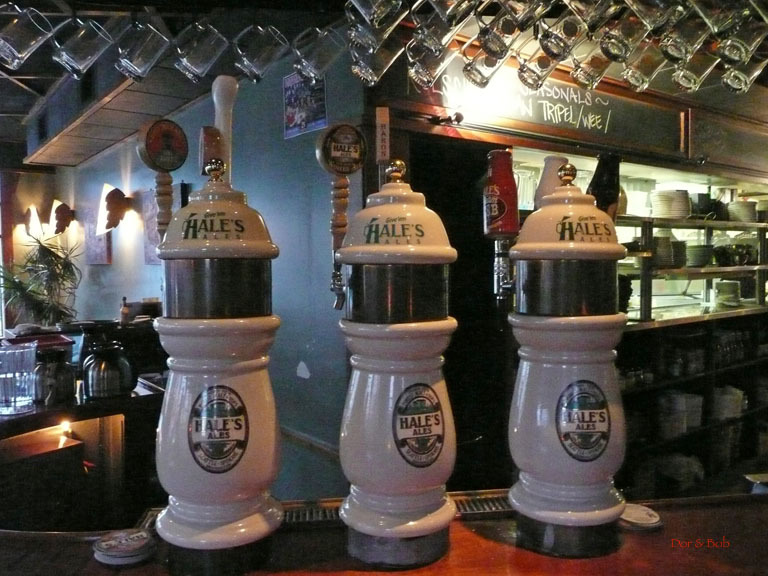 If you are a fan of Hale's Ale, I definitely recommend stopping by at least once. The beers weren't bad and the staff was really nice, but the place just rubbed me the wrong way. It seems like more of a beer tour place than anything, and was just too upscale for my tastes. You enter from the main street side and are thrown in front of several copper tanks and the smell of hot wort. The brewpub is just to the left. Carpet, lots of fancy booths, brass and the poor staff in polo uniform shirts. I talked to the bartender for a while, tried some of the beer (not a fan), and left. It's worth a stop, but I wouldn't spend a night here. 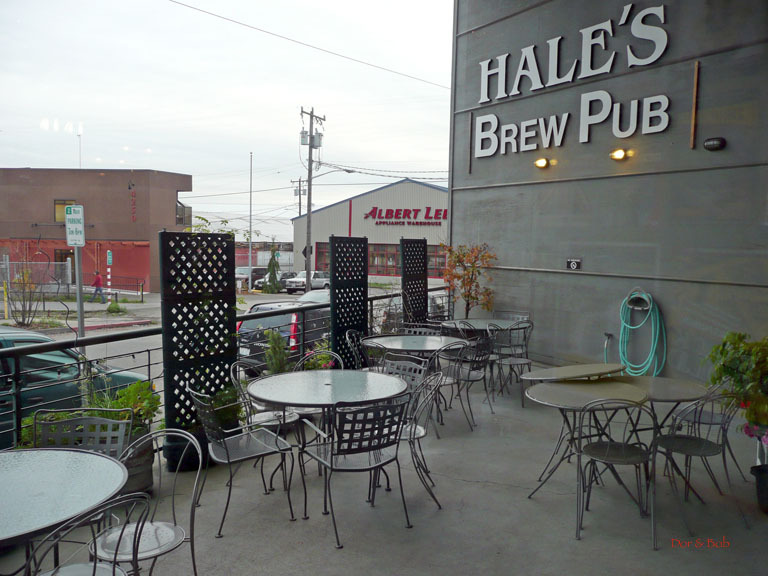 It's also home to Hale's Ales, the only brewpub remaining from the enterprising mind of Mike Hale who, after traveling through Europe by bicycle was so impressed with the beer, decided to try his hand in his native Washington. The little town of Colville saw his first brewery open 25 years ago, followed soon by a second on the shores of Lake Washington in Kirkland. Eventually the Colville "store" closed its doors & the Kirkland location moved to Fremont where "the main thing is to keep the main thing, the main thing." That should give you an idea about the kind of man Mike Hale is. 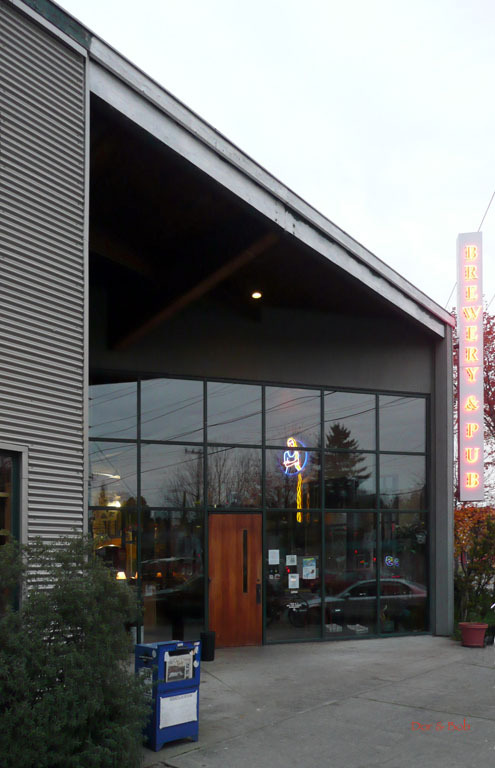 When you enter the warehouse-type building that sits between Fremont & its neighboring town, Ballard...you are presented with the huge Mash Tun kettles and you get a blast of that unmistakable doughy, bread aroma and you know immediately, this is where the beer is! Nothing but ales are brewed here and there are at least 10 on tap at all times including the flagship Pale American with its lager smell but malty, spicy taste; a Nitro Cream; a Kolsch; Drawbridge Blond; Mongoose IPA; El Jefe (Hefeweizen); Nitro Cream Stout: the Troll Porter (named for the monstrous concrete Troll that sits under the Fremont bridge heading into Seattle); and the delicious seasonal, Wee Heavy Ale. As with most brewery, not all beers are stand-outs but there is enough variety here to satisfy anyone's palette; wife Persimmon & I love the Wee Heavy with its spicy, fruitiness that is not overwhelming and the Troll Porter, full of chocolate & coffee & malts that assault your mouth making it impossible to ignore. This is a beer you will either love or hate but it is not for the wee hearted. Expect a lot of flavor & layers! If you're ever in town, look for the bright red, double-decked bus then make for Hale's Ales and help keep the "main thing, the main thing."